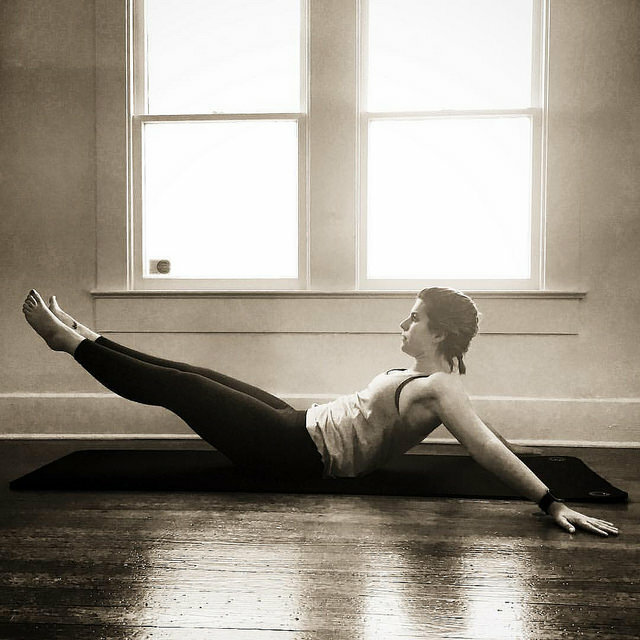 How Pilates Helps Me Cope with Chronic Pain & Fatigue. In May 2016, I was diagnosed with fibromyalgia, a chronic disorder characterised by widespread pain and fatigue. At the time of my diagnosis, I was at the end of my tether. I couldn’t see a way forward. Every day was a struggle; I heaved myself out of bed in the mornings, dragged myself through the work day, and collapsed every evening by 8 p.m., too tired to cook or even shower. It was an endless, relentless cycle, and I could do nothing except the bare minimum. I was never a very active child, though I desperately tried to be. I was born with Perthes disease, and often stopped from joining my classmates in Physical Education classes. I was regularly in pain, and, as I grew up, it was something I simply learned to live with. My limitations governed my life. Although we moved to a new town in December of 2015, I didn’t venture into town for a full six months. We didn’t go on holiday; we didn’t even go out for lunch. My life was limited to a cycle of early nights, late mornings, and a perpetual level of exhaustion. In order to cope, I blogged about my symptoms, and reached out to others who had been through, or were still going through, the same thing. It was a dark time for me—my spirit, along with my body, was broken. I started on Amitriptyline almost immediately after my diagnosis. Thus began a few months of feeling like a zombie, reeling from the side effects of the medication. But, by the autumn, those side effects had begun to settle down, and I started to notice an improvement, however small. I began to make small excursions—to town for a coffee, lunch with my partner, dinner with a friend—and, in September, I got married. We decided to spend a few days in Cornwall afterwards, and I managed the entire drive, there and back. Don’t get me wrong—the pain was there, and I was exhausted, but a part of me was also exhilarated. Slowly but surely, I was getting better. The rest of that year passed slowly, each day a fraction better than the last. We started venturing out more often. I had a new lease on life, and I wanted to take full advantage of it. So, in January, I joined a local Pilates class on the recommendation of a colleague. She’d started going after suffering a back injury, and had noticed the difference within just a few weeks. Since they were offering a free taster class, I decided to give it a go. Christmas, although exhausting, had been more manageable than ever before, so I was confident that I could at least try it. I had a few wobbles at the beginning. My hips, thanks to the Perthes, are not as they should be. My movement is limited. But with a patient teacher—and a class full of others with their own limitations—we found alternative options. Instead of rotating my legs all the way round when doing Bicycle Leg, I keep my legs higher, lessening the impact on the hip joint. Although my class is specifically designed for people with joint issues, I can’t imagine any Pilates instructor would take issue with adapting the movement to suit your body. Now, incredibly, I can touch my toes—something I’ve never been able to do. Such a small thing, something those who are able-bodied might not even consider, but the first time I managed it during a class, I was astounded. Pilates has given me confidence in my body and my mind. Since then, I’ve gone to the gym, and tried harder, more intense classes, like Zumba and aerobics. We regularly go on a walk at the weekend, clocking up to 10,000+ steps. My daily step count now averages between 5,000 and 7,000 steps—a huge improvement in itself. I’ve been working with a personal trainer and nutritionist to change my diet, and now I’m actually able to prepare a meal. Fibromyalgia doesn’t go away. There is, currently, no cure. I still suffer flares—painful knots in my back, weak ankles prone to twisting, a sensitivity to temperature changes, and bruising. But when I was diagnosed, and the doctor told me that it could be managed, I barely concealed a snort. Twelve months ago, I couldn’t see an end to the pain. I could barely focus through the “fibro fog,” caused by the exhaustion. I vegged out every weekend, spending most of my time asleep, or staring blankly at the TV when I was actually awake. Now, while I enjoy sleeping in or having a lazy day curled up on the sofa with a book, I also love being able to get out, enjoy the sunshine and scenery, and making more memories. I’m amazed at how far I’ve come—and it all started with a simple, weekly Pilates class. Vikki Patis is an avid blogger, book reviewer, and reader. She reviews books for Lovereading, and runs a reviewing team on her blog, The Bandwagon. 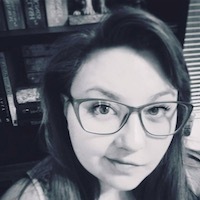 Aside from book-related posts, Vikki writes about a multitude of topics, including feminism, being body-positive, recipes, politics, and society. She has a degree in criminology and criminal justice studies from Plymouth University. Her dissertation: I Ink, Therefore I Am was recently published. When she isn’t working, Vikki loves reading, baking cakes, and drinking tea, preferably all at the same time, with a cat by her side.